TEPCO announced on March 27 that they directly measured the radiation levels inside the Containment Vessel at Fukushima I Nuclear Power Plant for the first time since the accident had started, and the maximum level was 73 sieverts/hour. 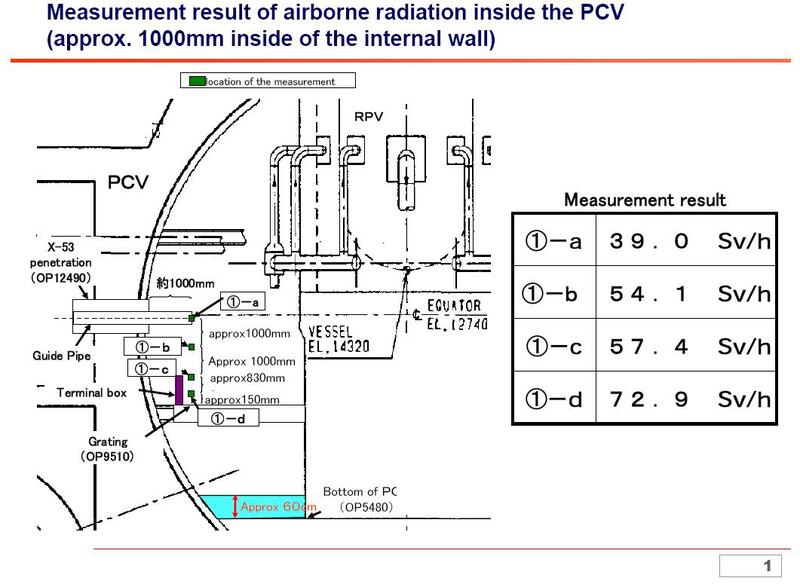 The radiation survey was done by inserting the dosimeter through the same pipe that had been used for the endoscope on March 26. 8 locations were measured, at 50 to 100 centimeters off the inner wall of the Containment Vessel. The radiation levels were 31 to 73 sieverts/hour. The levels are more than 100,000 times as high as the levels during a regular maintenance. It is probably due to the melted core that has dropped to the CV and radiation from the radioactive materials that have dispersed inside the CV. The dosimeter was capable of measuring up to 1,000 sieverts/hour radiation. 19 TEPCO workers and 16 Toshiba workers spent one hour, receiving maximum 1.69 millisievert per person for the work. 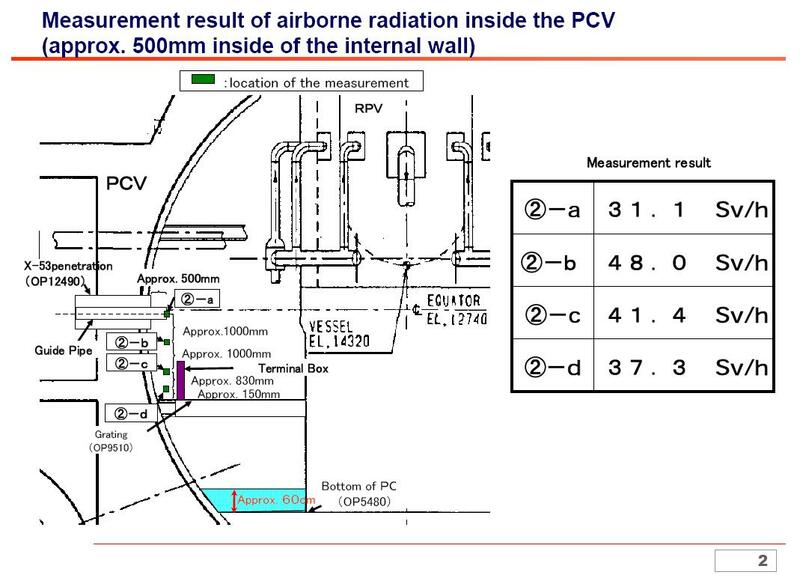 As you can see from the TEPCO’s handout below, all the measurements were above the grating, and the radiation levels 100-centimeter off the wall were higher than those at 50 centimeters.